“When are you moving back home?” Answering the Question of Do I want to live in Japan for my entire life? That phrase is something I get commonly asked when I make my way back to the US, especially at social functions. It’s almost like there is this default setting on everybody that one day you will just press “home culture” and return back. Everyone is fascinated by the fact that I live overseas, like I am that “weird Aunt” that lives in some exotic place and is always talking about her adventures that no one can relate to, but somewhat enjoys hearing about. Ultimately it comes down to “well, are you even planning to come home?”. Now, this question is a very valid question to ask, whether out of pure curiosity or simply they assume that you wont stay “away” your entire life but when I was younger, I dreaded this question. Mostly because I thought it was rude, but also because I didn’t know how to explain in words how I felt about the subject. For one thing, I never felt comfortable living in the US anyway. I was a small person (4’11 or 147cm) in a place with so much space and excess, as well as I never felt like I was listened to because I wasn’t as loud and extroverted as others around me. My formative adult years were all in Japan and I blossomed when I moved here, rather than in High School or University, because Japan gave me the opportunities to, rather than the suppression I felt in the US. On the other hand, I learned quite quickly that Japan will never accept me like a real Japanese person, no matter how much I try to culturally integrate into their society. I never want to become Japanese, but being accepted as knowledgeable and culturally aware is something that I am passionate about, but because I am as foreign looking as you can get, I get a lot of default English and awkward questions about things from abroad. This question is hard to answer because I feel this pressure to press that default “home culture” button eventually because if I don’t, I will be in this kind of purgatory of cultures because I wont be in my home culture, but I also will never fully be accepted into Japanese society. At the same time, I feel the Japanese culture suits my personality more, as I am naturally more patient and don’t like as much aggression during conflict. 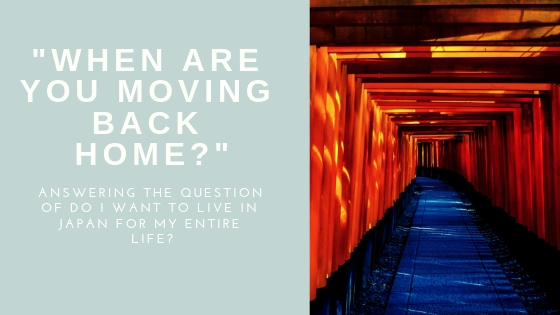 So, I answer mostly with “For the meantime, I want to stay in Japan”, which ultimately leads to the question “Will you live in Japan forever, then?”. To that I say “I don’t know”. Right now, I feel at home in Japan and after I get my visa renewed this year, I want to lay down my roots more, like with long term financial investments, etc. With that being said though, I am open to moving to another country if the opportunity arises and I think that it would be the change that I need in life, but I think I will always be connected to Japan somehow. That, however, probably does not mean moving back to the US though. In my heart of hearts, I feel that the US would be the last place that I would want to return to settle down for many reasons, but ultimately I feel that it wouldn’t suit me in the long term. I have seen my home country in a very different light for all of these years and I’m not comfortable with going back into that fully again. I would rather accumulate into another culture, than re-accumulate into American culture again. Now, will I say I will NEVER move back to the US? No. Life happens and there is a plethora of situations that would call for me to go back to the US for whatever reason, but my preference would be to not go back if at all possible. What do you think? Have you felt this way about living overseas? Let me know in the comments below! Becoming a fan or collector of anything raised the question of how exactly to your organize all of the goods accumulated from said activity. 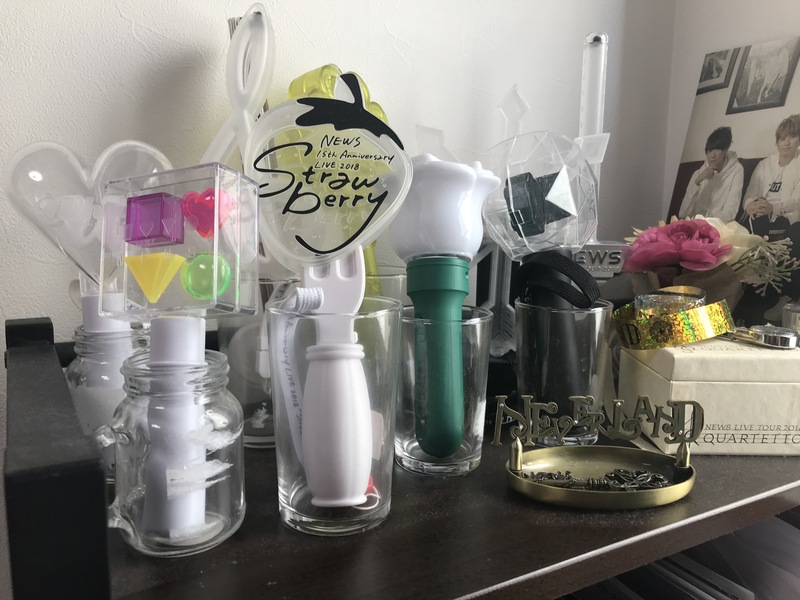 Johnny’s (and other idol groups) have many types of goods to collect with many different high and low end options to help you organize them. 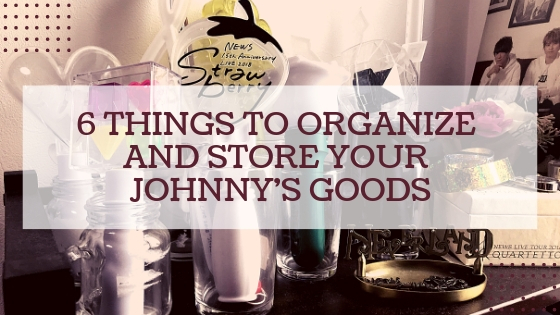 Over the years I have collected and used my fair share of these organization items, so here are 6 products to help organize and store your Johnny’s goods. 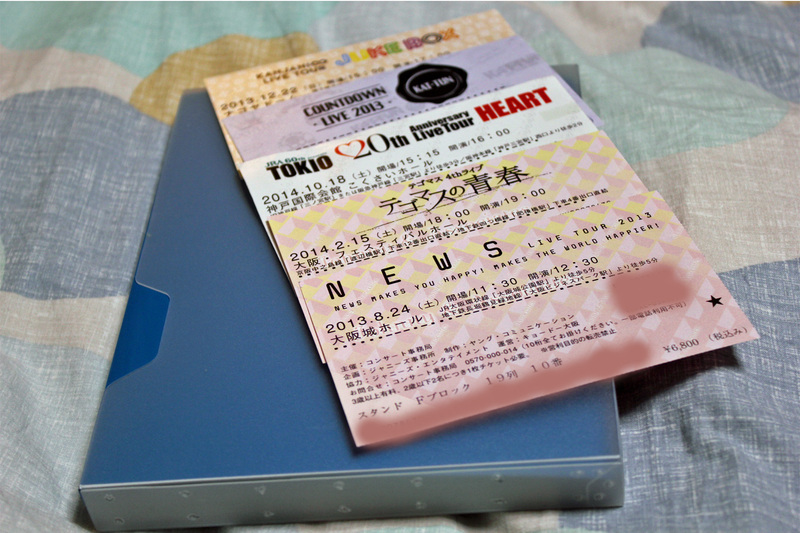 Johnnys has now started to go away from the paper ticketing system for some of their artists in favor of digital tickets, but there are still many shows that have paper tickets to collect. A regular photo album to store all of your tickets in is ideal, rather than spending money on an expensive “ticket holder”, and it works just as well. 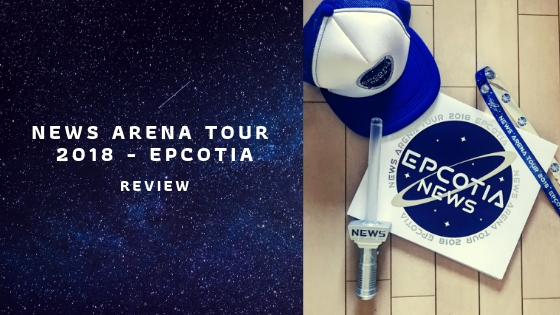 I have another post I wrote a while back where I talk about this particular item, so check it out HERE if you are interested! 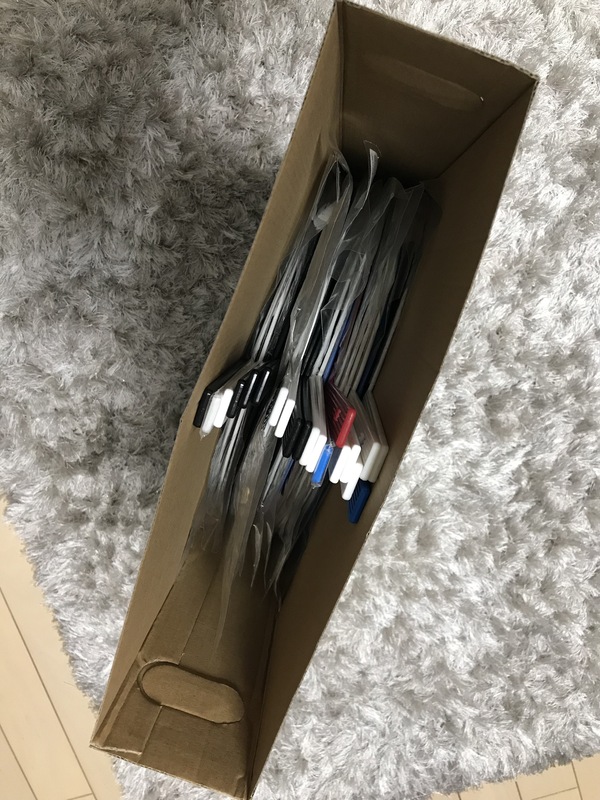 Now, you might not think that this is revolutionary, but I am telling you that this has changed my storage game for all of my uchiwas – which used to be shoved into a drawer, laying flat and taking up too much space. This particular one is from a series of idol storage/ protective goods that the “3 Coins” shop (or 300 yen shop) produced in Japan a few years back. It was only supposed to be a limited run, but it was so popular that they brought it back permanently and added more to the line. This uchiwa box in particular I wanted because I needed a place to place my slightly too large uchiwa collection I’ve accumulated over the years. It can safely fit about 20 uchiwas inside and though it’s a bit flimsy at times, it does the job for 300 yen ($3 USD) and keeps your uchiwas tucked away together safely in one place. This is the newest addition to my goods storage and another game changer for me. Over the years I had collected so many streamers from concerts that they also ended up in my “Johnnys goods drawer of doom and chaos”. One day while browsing in Tower Records with a friend, I spotted this and I was mind blown. I bought it right away and now my streamers are organized and the holder itself looks really pretty on my shelf… and also looks like I put effort into storing my Johnnys goods, instead of leaving a pile of them sitting at the back of aforementioned drawer. 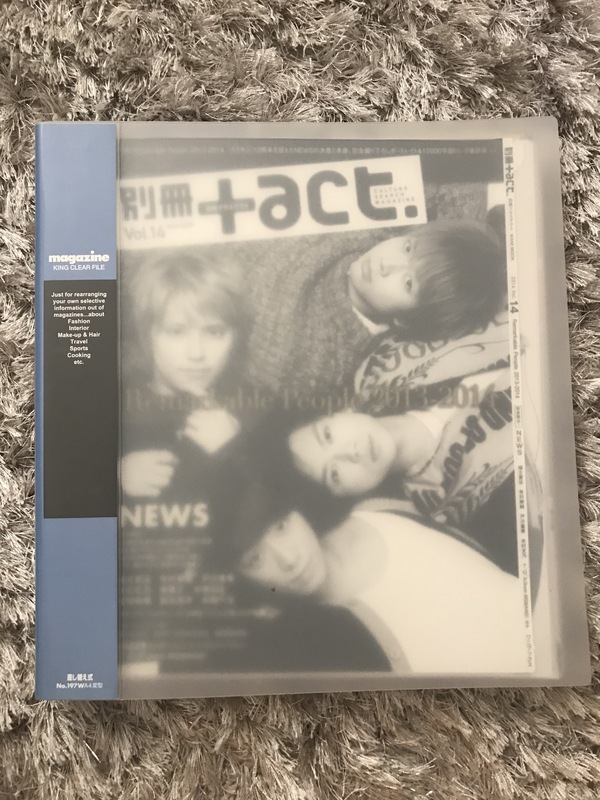 You can also find this at the 300 yen store, but the one that I decided to buy was a bit pricer and from Tower Records for just over 1000 yen or $10 USD. It is sturdier than the 3 Coin store one and is magnetic to hold the opening shut. 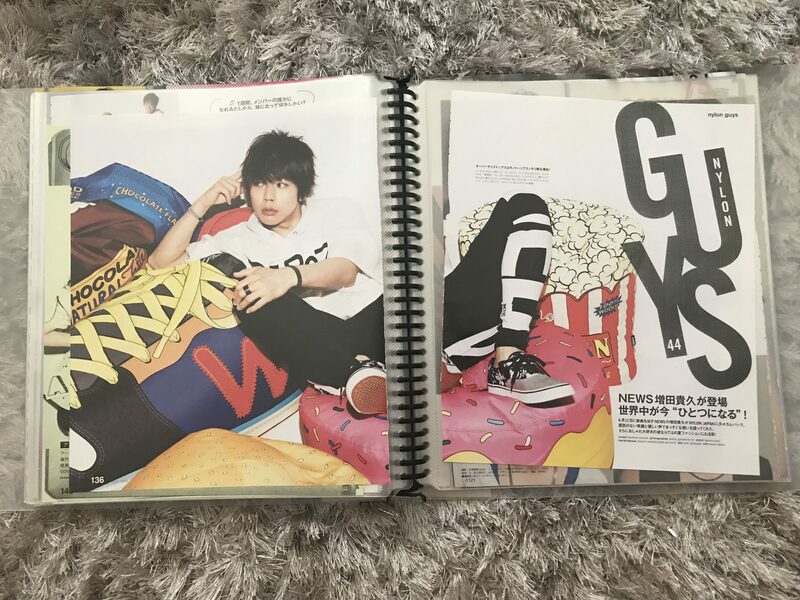 Shop photos are one of those staple items that all Johnnys fans eventually purchase. Over the years I have accumulated hundreds of photos and have organized them in these photo albums from the 100 yen store. I believe these particular ones are from CanDo, but any photo album of your choice will due! I personally don’t like inviting a ton of money into storage for shop photos, because I have a lot of them, so I just hop on over to the 100 yen store and get mine. LOFT and Tokyu Hands will also have them, but for a higher price point. I personally organize mine by member and group, so I have individual albums for each member (for NEWS I buy all the photosets at the concert) and then I have a separate album for group photos. Feel free to organize yours however you please! Once again, going back that “Johnnys goods drawer of doom”, all of my penlights also used to be in there. After a while, I wanted to proudly display my favorite ones in my room to always look at, but I didn’t have a way to keep them standing up. So, I be-bopped my way over to the 100 yen store (more specifically Daiso) and saw they had so many options for mini cups that are the perfect size to place your penlights inside of them to stand them up. For my larger penlights, I have a bit larger glasses but for the most part they are the smallest glasses I could find there. If you are an idol fan, you are probably buying magazines to read interviews with your favorite entertainers. Some people want to keep their magazines in restive condition, but after you buy them year after year, they start to pile up. After the first time I moved inside of Japan, I realized I had accumulated WAY too magazines over those 2 years and decided to cut them up and take out only the pages that I wanted to keep. It would reduce space in my apartment and make it easier to sift through all of the scans that I wanted. I am still not done, but I have accumulated a large amount of binders filled with magazine scans that I have cut out over the years. 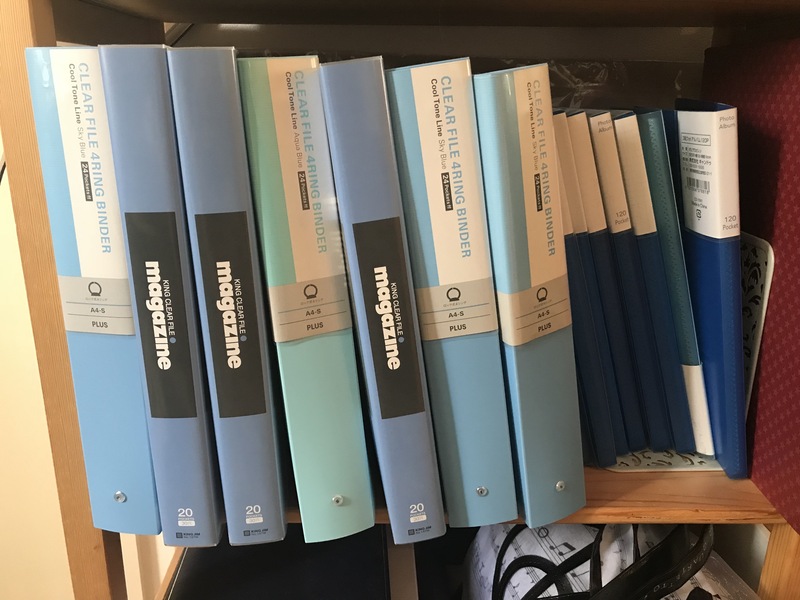 The magazines come in all different sizes, so I normally pick a normal size A4 binder with extra pocket refill, as well as an XL wide size binder meant for fashion magazines to make sure all of my bases are covered. 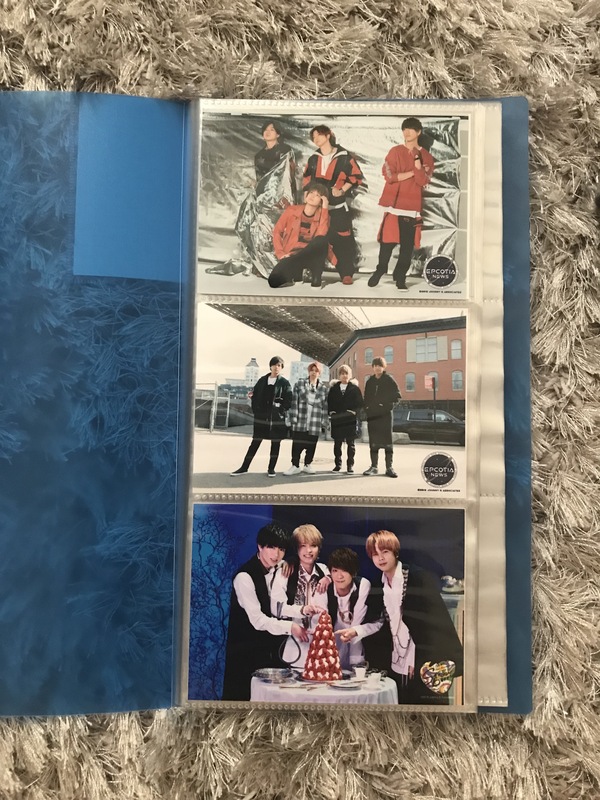 Below is the Rakuten link to the ones that I have bought, but you can also go to any stationary store, like LOFT or Tokyu Hands to buy it. I tend to buy in bulk when I buy them, so its cheaper to buy them on Rakuten. If you are not looking to buy over 1-2 of them, LOFT and Tokyu Hands is probably the best to buy them at. Make sure you don’t forget the re-fills for them! They only come with maybe 10 pockets inside. This is an amazing way to organize all of your magazines without the extra room and weight attached! What would you be interested in buying? Are there any other goods that you don’t know how organize or store? Let me know in the comments below! 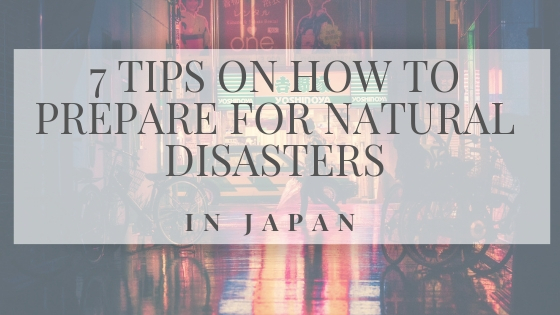 Living in Japan can be a challenge for foreigners and for people looking for information before making the leap to move over here. I reached out on Instagram and asked followers there if they had any questions about life in Japan, and I got some great responses! I want to answer each question in an individual post, so this is the first of a series of posts that I plan to make on questions about living in Japan. The first question is about getting a job in Japan and about the working attitude. Question 1: Is it hard getting a job there [in Japan]? How is the working attitude there? Finding a job for a foreigner can be easy for a native English speaker wanting to teach English, but outside of that it can be kind of difficult. A lot of people use teaching English as a spring board to getting a non-English teaching job after. You have to have a high level of Japanese for non-English speaking jobs for the most part, maybe not an engineer or programmer, and you have to prove you want to live here for the long term…. as per my experience. You should also have experience in that field that you want to work in (masters degrees counting in my opinion) as with any job back in your own home country. You also have to be aware that it is competitive out there. Just because you can speak English and Japanese fluently doesn’t mean you get an easy foot in the door. 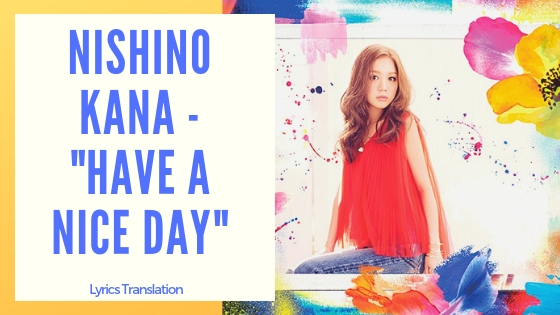 There are tons of Japanese-English bilinguals out there and the competition is tough… you have to have to have some sort of other skill that you can contribute, not just language. As for the working attitude, I can only speak for non English teaching jobs, but for the most part Japanese people are very hard working and expect the same from you. At the beginning they might be sympathetic to you, but they will teach you Japanese business practices bit by bit, if you don’t know them already, and expect you to follow them. Some of these include coming in before work begins to prepare for the day even though the work day hasn’t started yet, radio exercises (Yes… my first company made us do it EVERY single day), answering the phones even though you are a foreigner, etc. Some of these things are company-specific though. The company culture differs from company to company and the size of the company as well, so keep that in mind. I suggest when going for an interview, have a list of what you are looking for in a company and during the interview ask smart questions to see if that company is a right fit for you. For example, if you want to travel overseas a lot, a job just sitting at a desk won’t be right for you. If you want to work on new projects all the time, a job where you are taking over from someone else and the job is pretty much decided is probably not a right fit for you. If you want direct communication with your boss, ask for details about what type of working environment you’re walking into. There are many ways to ask questions in interviews to see if you will be a good fit for that company, and don’t be afraid to…. an interview is just as much them interviewing you as you are getting a feel if you want to work for them. I made that mistake so many times because I was desperate to get out and move on to “something better” when in reality it wasn’t the best fit for me. I’m on my 4th company here in japan and I finally found a right fit for me but it took me about 3.5 years to do so… so with that know sometimes you might not find that perfect job fit right away and you can quit if you want. On the other hand, I highly recommend you try to stick it out in a company for more than a year though so it doesn’t seem that you are job hopping constantly. There are cycles of liking and disliking your job, just like in your home country, and there is a difference between being harassed/ not agreeing with the company values and wanting to leave after the honeymoon period has died down. You might also be going through some tough projects or work at that moment, so I highly recommend thinking very throughly about why you want to quit before you do and also have something lined up before you leave so you can pay your bills. Let me know if you want information on how to quit your job in Japan properly! I’ll consider making a blog post or video about it in the future. Also, if you have a question about living in Japan please answer in the comments below! If you have experience with jobs here as well, feel free to comment your experience.